The Ho-Ka Store is open Monday through Friday from 7:30 am until 4 pm. We do close from 12:00 - 12:30 pm for lunch. 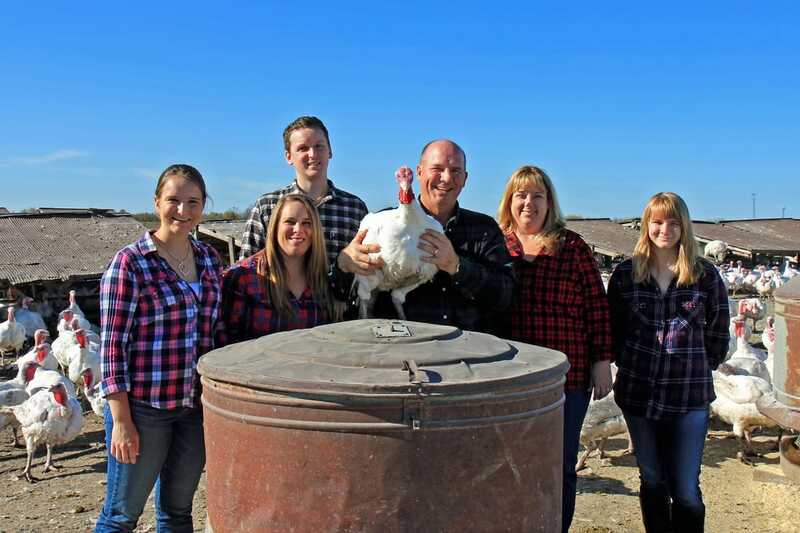 Kauffman Turkey Farms is one of the last remaining independent family owned and operated turkey farms with its own dressing plant in the country. Providing fresh dressed turkeys to the Northern Illinois area for over 80 years. These big, beautiful tom turkeys are some of the thousands that are range grown here on the Kauffman Turkey Farm. Our turkeys are grown from one day of age until they are dressed in the farm's federally inspected plant. We raise our birds with the emphasis on quality. This means that the turkeys grow more slowly and develop a richer flavor and denser texture. "We had our first "Ho-Ka turkey at Thanksgiving, it was the BEST!!" "Just wanted to let you know how much we enjoyed our Ho-Ka turkey this Thanksgiving. It browned beautifully, was juicy and tasted better than any bird we had in our 49 years of married life. Just wanted to let you know that there is a difference between your turkeys and others. Thanks for a great Thanksgiving dinner." "I have to tell you how great your turkey was at Thanksgiving. Everything was so very tender, the giblets and all. I am grateful to you for such a fine bird." "There's a Whole Foods Market here, but in the past when we've asked for your birds, they said "yeah, sure" and tried to pass off one of their own brand "natural" turkeys on us. They don't taste the same....we've had our happiest holidays eating your turkeys."